Recently, the former minister Wiam Wahab, in an interview on television, said something to the effect that he was saddened by the vacuum in the Lebanese presidency. He was saddened because Lebanon might never have a Maronite president again. This could have been hyperbole, but there were those who saw a more sinister underpinning to Wahab’s remarks. Pointing to his close ties with Hezbollah and Iran, they read in his remarks the first hints of a broader Iranian vision for a new reality in Lebanon. Not surprisingly, the greatest potential victims of an Iranian-inspired overhaul of Lebanon’s political system could be Christians in general and the Maronites in particular. As Iran expands its power throughout the Middle East, it is seeking to reshape the political landscape in ways designed to enhance its leverage and that of its allies. Nor is anybody successfully hindering this. On the contrary, it has become increasingly apparent that the United States has no intention of challenging Iran’s sway in Iraq, Syria and Lebanon. Gone are the days when the American priority was containment of Iran in the region. Under Barack Obama, the U.S. appears to favor a new regional order in which Iran will be granted a choice role. That is why Tehran has been so adamant about defending Bashar Assad’s regime in Syria. His downfall would have crippled Iran’s efforts. Today, Iranian combatants are fighting in Syria, compensating for the losses in the Alawite community, while Iran has spent billions of dollars to prop up Assad’s regime. In Lebanon, it seems highly probable that Iran will pursue a similar logic by seeking to modify the political system to the advantage of the Shiite community, led by Hezbollah. That is easier said than done, however, which is why Hezbollah is using the clashing ambitions of the Maronites themselves to help discredit the current post-Taif political arrangement. Taif is widely viewed in Lebanon as having favored the Sunni community because it turned the Cabinet into Lebanon’s executive authority, taking most powers away from the Maronite presidency. As the prime minister is a Sunni, he plays a pivotal political role by virtue of his position, even if constitutionally the Cabinet holds executive power as a collective body. That is one reason why, since 2011, Hezbollah has sought to push aside Saad Hariri and bring in prime ministers not regarded as leading representatives of their community, no matter what their individual merits. Hezbollah has also pursued its undermining of the post-Taif Constitution by emasculating the presidency. The party isolated and threatened President Michel Sleiman and exploited Aounist resentment of him, before allowing a vacuum to take hold once the president’s term ended. Michel Aoun is blamed for this, and has sought to perpetuate a void in order to blackmail the political parties into electing him as Sleiman’s successor. However, the reality is that Aoun is Hezbollah’s dupe. The party has itself done nothing to fill the presidency, preferring to highlight just how irrelevant the post has become as the state continues to function more or less normally without a president in place. How the party intends to push its advantage further and increase Shiite power remains to be seen. On several occasions Aoun raised the issue of a new division of power in Lebanon according to thirds – in other words roughly a 33-33-33 division between Sunnis, Shiites and Maronites – to replace the 50-50 division between Christians and Muslims in Taif. This approach was motivated by Aoun’s belief that it would bring him Hezbollah’s support for the presidency, as well as, beyond that, granting the Maronites balancing power between Sunnis and Shiites. For Hezbollah, however, anything that can increase Shiite representation in parliament and the government is desirable, all the more so as the community’s current share does not reflect Shiite demographics. Even a system of thirds can be turned to the party’s advantage at a time when Christians in Lebanon feel, not always justifiably, that the greatest threat to the Christian presence in the Middle East is Sunni extremism. Lebanon has particular importance for Iran. Though small, it lies on the border of its principal regional rival, Israel. As Iran puts in place a broad strategy for the expansion of its power in the Arab world, Lebanon and the Golan Heights take on exceptional value. That is why the Lebanese power-sharing agreement needs to be adapted to ensure that Iranian stakes are not threatened. Yet the debate over Lebanon’s presidential vacuum has been pathetically parochial. The focus of discussion continues to be on the rivalry between Aoun and Samir Geagea. Yet the issue is much bigger than the two. If they have any interest in the future of their Maronite community, they must use their impending dialogue to agree common principles in light of Iran’s ambitions. That may be too much to ask from the two men who contributed most to the devastation of Maronite fortunes in 1990. Aoun in particular must be mindful of his foolish denunciations of the Taif Accord. If Taif is ever changed it will not be to return power to the Maronite president, as he ludicrously hopes. It will be to take more power away from Christians, and redistribute this in ways that reflect Lebanon’s sectarian realities. 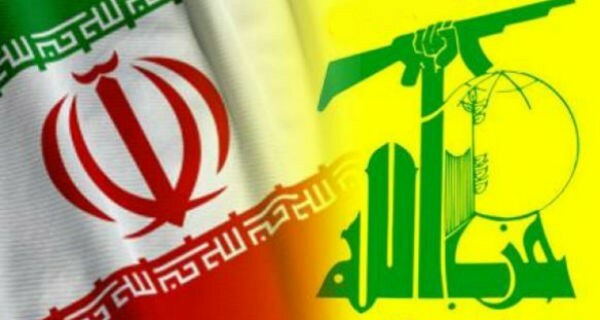 Lebanon is entering an Iranian era. This may very well lead to further convulsions, with Sunnis seeking to oppose such a project. As for the Maronites, they must grasp that if Sunnis and Shiites struggle over Lebanon, it is they who are the dispensable ones – those at whose expense compromises can be reached. Michael Young is opinion editor of THE DAILY STAR. He tweets @BeirutCalling.